Caption slip reads: "Photographer: Miller. Reporter: T.T. 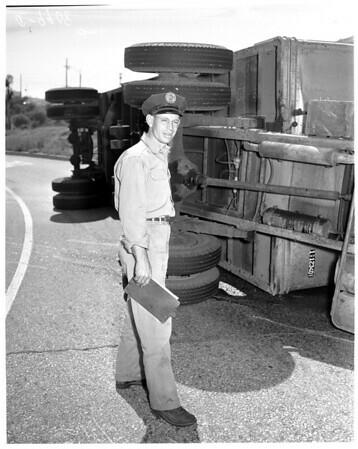 Assignment: Truck overturned 7th St. turnoff of Santa Ana Freeway. 28: Driver J.B. Peters. 9-10: Gen. view."